Admittedly, I’ve never seen reason to subscribe to any sort of streaming service, but the upcoming DC Universe initiative may change that. Boasting animated shows such as Young Justice: Outsiders and Harley Quinn, the live action side of things won’t be ignored, for Titans, Doom Patrol and Swamp Thing are all along for the ride. Needless to say, that’s a whole lot of incentive to sign up. And now, after months of speculating what else may be included in the package, we’re hearing of yet another TV show that’s set to draw fans into the streaming service, and it comes in the form of Batgirl. Yes, after toying with the idea of a feature film for the heroine, it seems that DC have decided on the small screen instead, with Fandom Wire reporting that a 13-episode live-action series has been ordered. From what we understand, it’ll head into production in February of 2019, with a 2020 release date planned. Details beyond that are scarce, but the outlet speculates that Melissa Rosenberg, who recently left Jessica Jones to work with Warner Bros. Television, could be involved. It’d certainly make sense, too, given how Rosenberg turned the aforementioned Jessica into one of the most compelling female heroes across screens big and small. What’s also unclear here is who’ll star in the project as the titular character and which version DC will go with. In the comics, Barbara Gordon, Stephanie Brown and Cassandra Cain have all taken on the mantle, though it remains to be seen which one will headline this new series. If production truly is set to get underway early next year, though, we should have some answers soon. 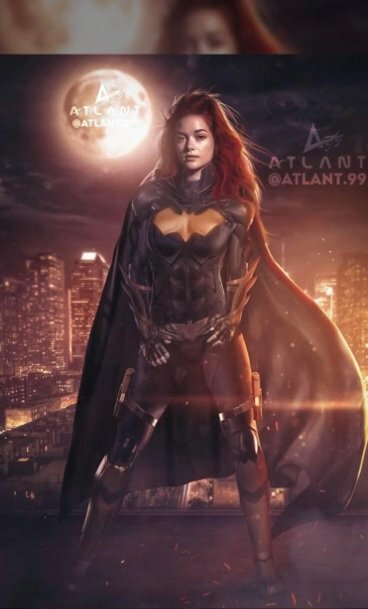 Until then, tell us, are you happy to hear that Batgirl will be making her way to the DC Universe streaming service? And who would you like to see play the role? As always, sound off down below.